Back in 2015, I designed a nursery for my son, Adler, who arrived in early 2016. I am so excited to be doing a little redesigning for that bedroom again, because in July we will be welcoming a girl into our family! I am anxious to use some of the pink artwork I've been collecting over the years. 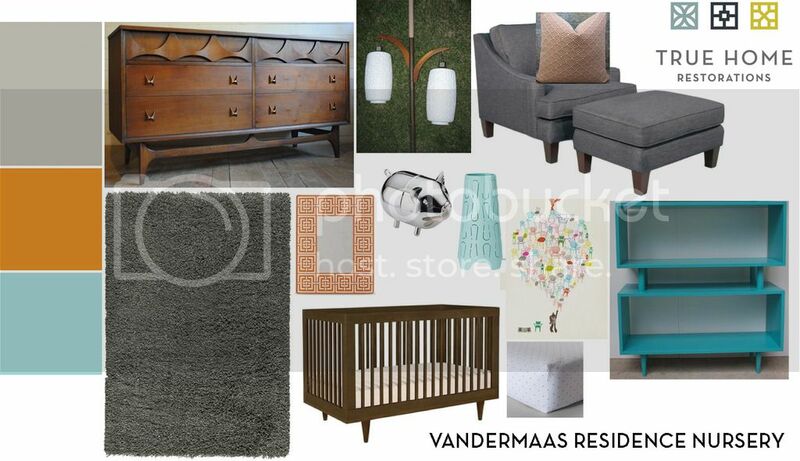 We used a lot of things we already had: the chair, our Broyhill Brasilia dresser which I use as a changing table, a bookshelf we had in another room. And to be honest, it wasn't a huge overhaul, as we did NOT paint the room, and did not buy anything new except the shag rug and the blue lamp. I used all the same bedding as I did for his older brother five years prior, and swapped out a bookcase we had previously had in our own bedroom. 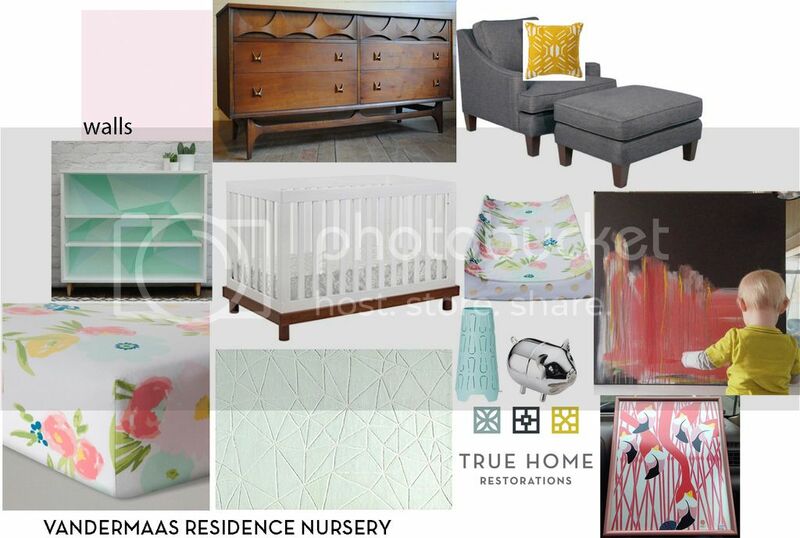 Our third (and possibly final) child will get a new paint job, new bed linens, a new rug, and a few fun accessories. I'll finally be getting that flamingo print framed, and I'm excited to hang that painting on the wall. We are going to re-use the major pieces of furniture: crib, dresser, chair, but mix it up a bit with some more feminine colors (I've always loved pink myself) and a fresh paint job. Life with three kids sounds crazy to me, but we are excited for July and this sweet babe to arrive!